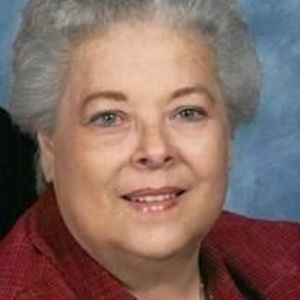 Katie Bottoms Taylor, age 75 of Rocky Mount, NC. went to be with her Lord on Tuesday, October 27, 2015. She was born on September 20, 1940 in Edgecombe County to the late George Burnice and Polly Williams Bottoms. She worked at Montgomery Ward for roughly 37 years before she retired in 1997. She graduated from Nash Community College in Cosmetology and worked part-time in a shop at her home for several years. She was a member of Oak View Baptist Church. Her hobbies included flower arranging, reading, traveling with her mother and sisters, and spending time with her family and friends. Katie is preceded in death by her loving husband of 57 years, Jimmy Earl Taylor. Survivors include her brothers, George Alton Bottoms, Bobby Bottoms (Vivian) and Rodger Bottoms; sisters, Janice Bottoms Holder, Brenda Bottoms Mott (David) and Wanda Bottoms Carpenter (special friend, Glenn Bass); several nieces and nephews; her extended family included, Billy Taylor (Jesse Dean), Elbert Taylor (Faye), Ray Taylor (Jean), Mary Alice Hodges, Sylvia Lamm, Dorothy Stallings (Jim) and Bill New; special niece, Candy Taylor Cashwell (Donald) and the boys, DeWyatt and Nathan Cashwell and special nephew, Ronnie Taylor. A Celebration of Katie’s Life will be held on Friday, October 30, 2015 at 2:00 PM in the chapel of Johnson Funerals and Cremations with Rev. David Taylor, officiating. A visitation will be held one hour prior to the service at the funeral home. Interment will follow in Pineview Cemetery. Flowers will be accepted and memorials may be made to Oak View Baptist Church, 2412 Arlington Street, Rocky Mount, NC. 27801.